Memorial day for many is a time to get away from work, gather together with family and friends, and get some nice R&R. 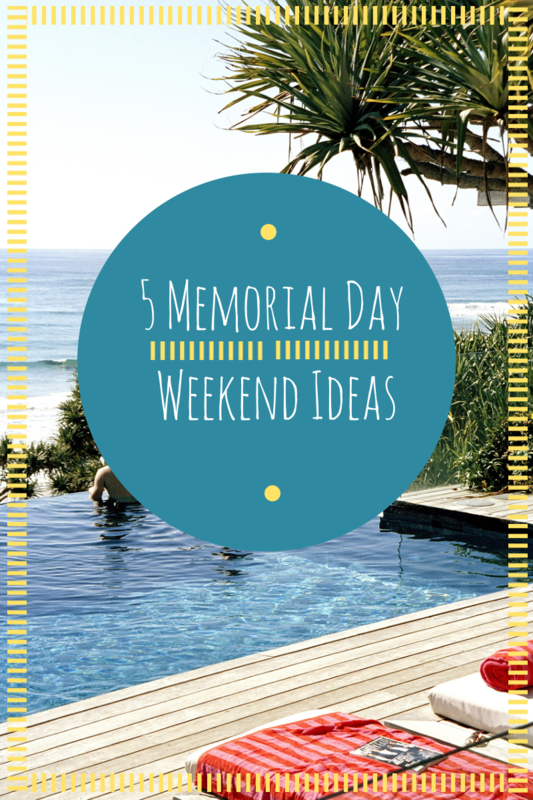 But in case you don't have anything planned for this weekend, here are 5 ideas to get you going. 1. Hang out at a park. Parks are a great way to enjoy the outdoors and spend time with your family. BBQ's are easy and inexpensive and you can even bring along your favorite game such as croquet or volleyball. Plus, many parks offer fireworks or other events on Memorial Day or weekend. 2. Take a last minute road trip. It's probably too late at this point to book any flights but a camping trip or drive to the lake can usually be planned the day of. Make sure if you are looking to camp or stay in a hotel somewhere that you call first to ensure availability. Some hot attractions book out fast on memorial weekend so it's best to call around beforehand. 3. Check out a parade near you. Many cities offer memorial day parades that start early on Saturday morning. Check your local listings for more information. 4. Relax at home. Sometimes it's nice to just have family night at home to watch movies and pig out on some popcorn. Plus, if you don't have a huge budget this weekend than you can save money by cooking at home. 5. Shop till you drop. Memorial Day Sales are huge for retailers and it may be the perfect time to snag some new summer clothing. It's also just a few weeks away before Father's Day so it's not a bad time to take your husband or daddy out and get them something new.